If your home has been affected by recent flooding, chances are you’re trying to pick up the pieces and salvage anything you can so you don’t have to spend a lot of money buying all new things. Fortunately, businesses have turned their attention to salvaging and repurposing old items so you don’t have to waste money and materials buying new stuff–plus, it’s good for the environment. All Action Water Extraction & Carpet Cleaning helps remove any traces of moisture or dampness left in your carpets after a flood. While some carpets may be so damaged by flood waters that they require replacement, most can be cleaned and dried. Of course, your store-bought wet vacuum can’t get serious flood waters fully out of your carpet and that’s where we come in. You don’t need to remove the carpet and replace it completely, but you do need to get all the water out. Moisture left in a carpet after a flood can form breeding grounds for algae or molds, and the spores of mold can go airborne, finding their way into your family’s lungs and making them sick. In addition, flood waters are usually full of contaminants, both chemical and biological, and might contain disgusting organic matter that can sicken your family and lower your home’s value. Not to mention, flood waters often leave hideous stains on your carpets. With the right water extraction technique, you can erase those stains, eliminate the risk of mold and bacteria, and restore your carpet to a like-new condition. All Action Water Extraction & Carpet Cleaning is on call 24/7, so if you need immediate assistance, you won’t have to spend one single night trapped in your home with potentially dangerous flood water. We may not even have to bring the equipment into your home; with our specially made truck and 200 feet of suction hose, we can remove the water from your carpet without tracking in dusty, bulky vacuums or littering up the place with buckets. We’ll move the furniture back and make sure your doors are locked when you’re done, so you can get back to your daily life as fast as possible. If you’re in the middle of a flood, it’s important that you remove sources of electricity from your appliances, as a wet carpet conducts electricity and could lead to fires or electrical shocks. Remove furniture from the carpet to allow it to air dry as much as possible. Remove pets, children, and valuables from the area. Then give us a call. We can show up by appointment or on an emergency basis to ensure that your family is not exposed to any more damaging moisture than necessary. Carpet cleaning experts are the best ones to determine whether your flooded carpet can be salvaged. In most cases, you don’t need to completely remove or replace the carpet. One or two professional cleanings might be all it takes to restore it to its like-new condition. Call us when your home has been flooded and find out how we can help. 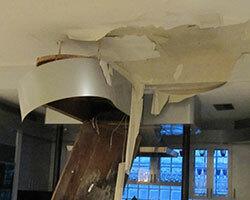 Give us a call at (817) 829-6628 and see how we can take care of all your flood damage needs!